Plumbing Installation Services | Loughborough Plumbers. Synergy Plumbing Services. Every plumbing system requires skilled and careful consideration on how the fresh water is piped in and how used water is taken out of the home. Plumbing projects, installations, and repairs should always be carried out by a qualified professional. If you require the services of a local plumber in Loughborough, Shepshed, Hathern, Quorn, Belton, look no further than the experts at Synergy Plumbing Services. We provide services for homeowners, business premises owners, and landlords so please contact us to get your plumbing fixed. We can also provide regular maintenance and service contracts. If you are building an extension on your house, or seeking refurbishment on internal rooms such as by upgrading your bathroom or kitchen, we can help. 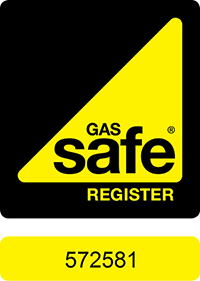 Our Gas Safe registered engineers are experienced with a range of home improvements. We can source fixtures and fittings, and we can help you with the design process. Of course, if you just need a skilled team who can get things working, we would be proud to come and help install your bath, sink, cooker, or whatever you need. We can help with all types of installations including Central Heating and Boilers, Disabled Access Bathrooms, and so much more. If you need a local plumber – think Synergy. Leaking Taps in Loughborough or surrounding areas? One of the most common plumbing issues in any home is with taps. Faucets have various fittings associated with their installations. DIY’ers and average homeowners do not always have a keen understanding of how each fitting works with the plumbing system. Faucets can wear out prematurely if they are not properly installed and therefore, Synergy Plumbing Services should always be your first call if you notice your faucet leaking or if it becomes damaged in any way. If you have purchased your dream taps for a fantastic new kitchen or bathroom, ask Synergy to install them correctly. Synergy Plumbing Services can install dishwashers, washing machines, and heating units too. There is no job too large or too small so please get in touch. We can also help with a range of home improvements that are associated with these projects so let’s talk. How can we help you?